Khawas e Adrain Urdu Tibbi book authored by Hakeem Muhammad Abdullah. The present book “Khawas-e-Andrain” is another useful book on Hakeem Muhammad Abdullah. 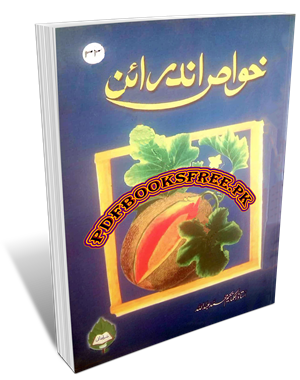 This book contains the benefits of colocynth (Andrain fruit) and describe useful methods to use it in various medicines in Urdu language. Urdu Hikmat book “Khawas e Andrain” is now available on Pakistan virtual library for reading and download. Check out the following links to read online or download the complete book in Pdf format to enjoy offline reading. Krishn chandr k afsane bhi nhi hain. sir please unani pharmacy ki books dijiye.